Beacon’s Beach and the surrounding areas (La Costa Avenue to Swami’s Beach) have been re-opened as of 7 a.m. on Monday, October 1. 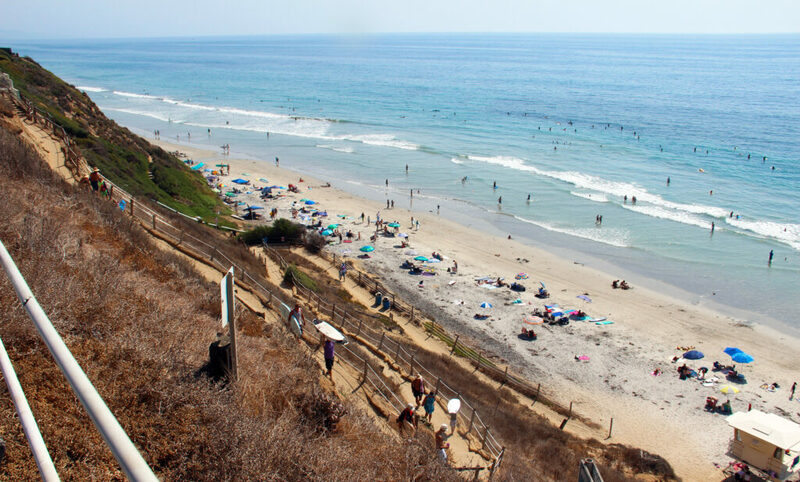 There have not been any official or public shark sightings in Encinitas since the non-fatal shark incident on Saturday morning. The unified command will still patrol the area throughout the week with lifeguard boats and trucks, City of Carlsbad Police Department aerial surveillance, and County Sheriff’s Department support. Marine biologist Dr. Chris Lowe from California State University, Long Beach (CSULB) received samples to identify the type of shark involved in this incident and we are currently awaiting the lab results. I’m sad to report that an extremely rare hazard of coastal living happened this weekend. Keane Hayes, a 13-year-old boy skin diving in the surf at Beacon’s Beach on the opening day of lobster season early Saturday morning, was bitten by a shark. Lifeguards responded immediately and began administering first aid to the victim, who was airlifted to Rady Children’s Hospital. Keane’s condition has been upgraded from critical to serious, and he’s expected to fully recover. A GoFundMe account has been opened to help cover his medical expenses. Officials have closed Encinitas beaches from Swami’s north to La Costa Avenue through Monday morning. As of this writing, no additional shark activity has been reported. All lifeguard towers are open and staffed to monitor the beaches. A unified command team of Encinitas lifeguards and several other coastal agencies is working with a marine scientist to determine the type of shark that caused the injury. Our best wishes for a complete recovery go out to Keane and his family. The San Diego Union-Tribune story is here, and updates are available on the City of Encinitas’ news website. Meanwhile at City Hall, your Encinitas City Council was busy this week. We dove deeply into the results of an “economic feasibility study” which supported the city raising the number of affordable units that a developer must build for any seven-unit or more project. We currently require that 15% of the units in these development projects be deed-restricted to be affordable to lower income people. The study indicated that projects would still be “economically feasible” if we raised the 15% affordable housing requirement to 25% for every development on our new housing plan – known as Measure U. Is this proposed increase in our “inclusionary ordinance” the most effective way to create affordable housing in our city? Would increasing the required percentage to 25% push landowners to develop at a lower density or avoid residential development? How would the proposed increase affect our ability to get state certification for our housing plan? In the end, we opted to send the results and related questions to the Planning Commission for consideration in a workshop format to be held on October 9th. Staff and consultants worked overtime to get this study done quickly and I’m grateful for their dedication. Moving on, we directed exploration of proposals for a school crossing guard pilot program at Balour Drive and Melba Road. There are lots of kids, cars, bikes and traffic congestion at this intersection – it’s located in the epicenter of a cluster of local schools. In closed session, we received several proposals for potential sale, lease or trade of the city-owned property known as L-7 on Quail Gardens Drive. After reviewing them, we unanimously agreed not to accept any of the proposals at this time. And we may be getting more public open space in Encinitas! We unanimously directed staff to pursue negotiations for the acquisition of an almost five-acre parcel in Leucadia. 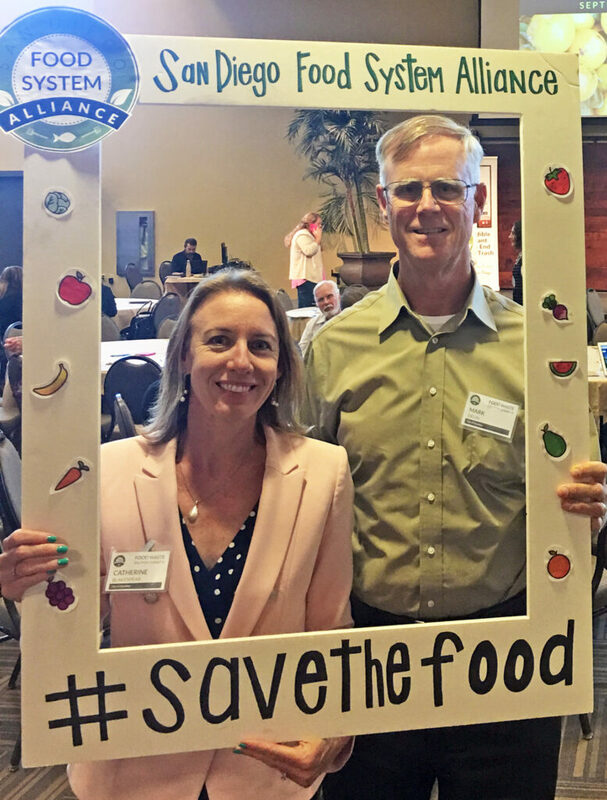 This week I attended a Food Waste Solution Summit hosted by the San Diego Food System Alliance and Kitchens for Good. In the top photo I’m with Encinitas Assistant City Manager Mark Delin and in the bottom photo with Solana Center Executive Director Jessica Toth and Carlsbad City Council candidate for District 1 Barbara Hamilton. Congratulations to Jessica on her award! Here are a couple of startling facts: Did you know that 40% of food is thrown away between farm and fork? 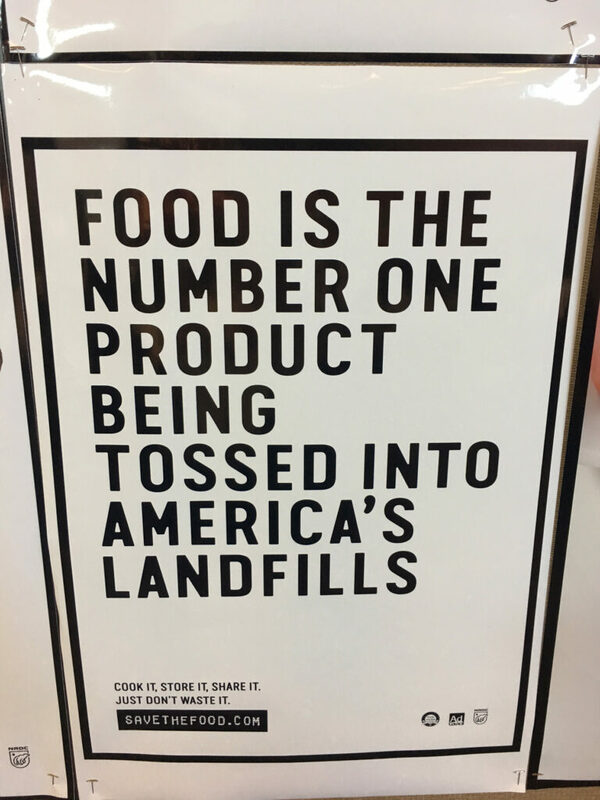 Or that in San Diego half a million tons of food goes to landfills each year? At the same time, one in seven San Diegans is food insecure, meaning they don’t know where their next meal will come from. 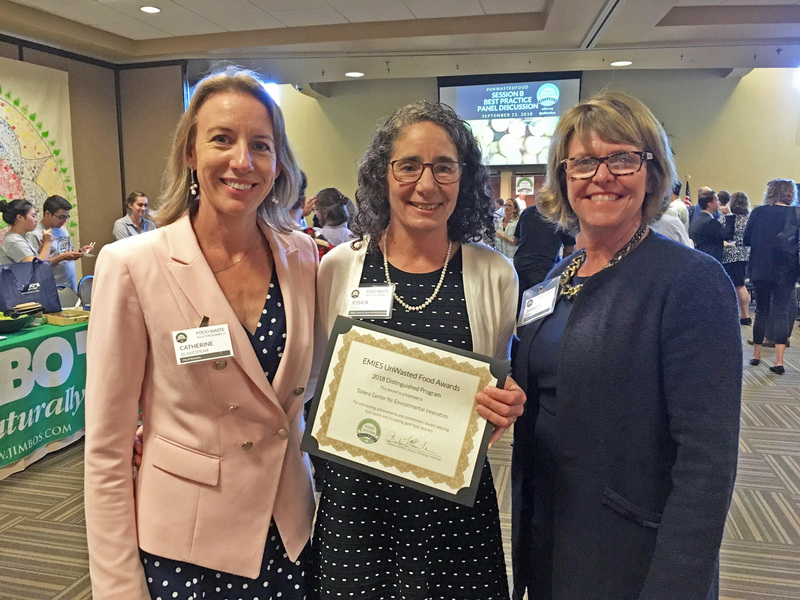 This summit was designed to address the twin issues of food waste and hunger by calling together a wide variety of people and groups to put energy into understanding the problems – and collectively finding solutions. 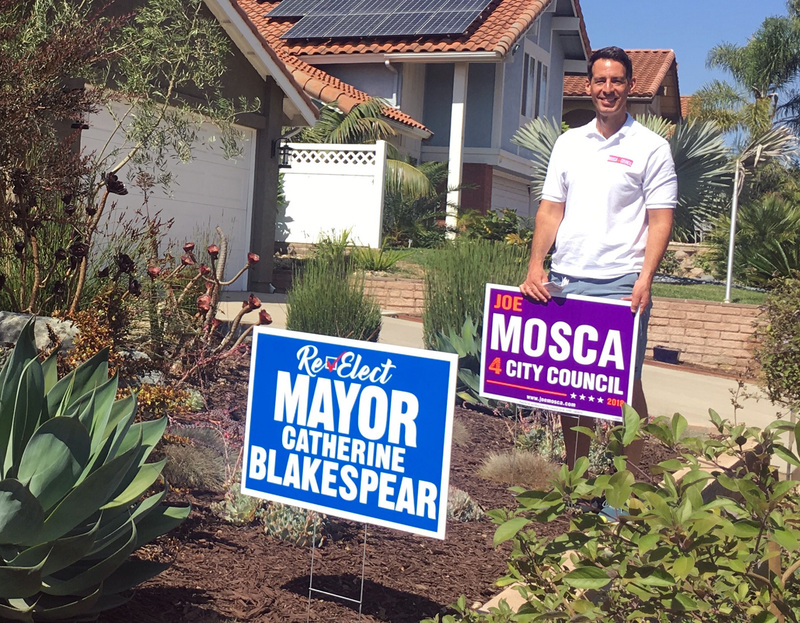 I walked door to door with District 4 Encinitas City Council candidate Joe Mosca(above). He’s a dedicated City Council colleague of mine, whose election I heartily support. If you can help him with a contribution, please do so here. 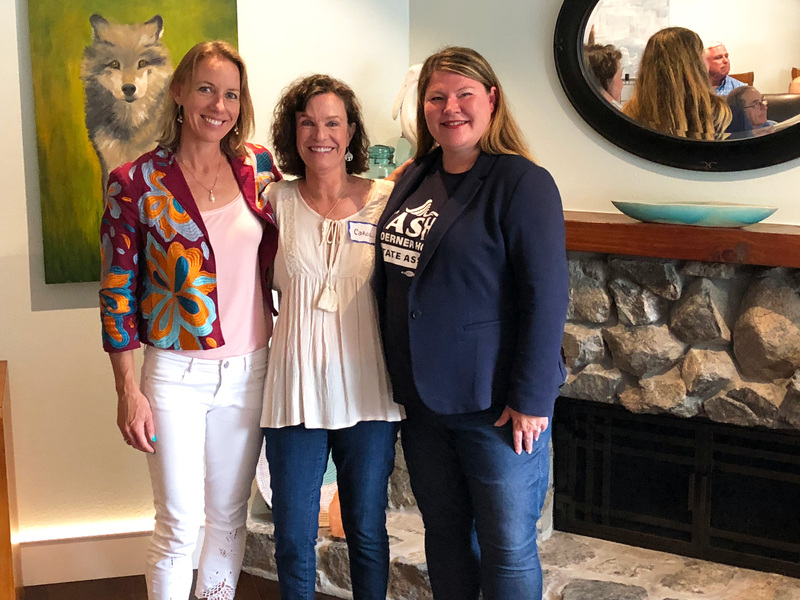 I also spoke at a well-attended Meet & Greet for Assembly candidate Tasha Boerner Horvath and me, hosted by Encinitas resident Carol Wolf (above, center). Thank you Carol! Immediately afterward, Tasha and I headed out to spend the rest of the afternoon walking door to door in Leucadia to hear from residents. If you want to meet Tasha, she’ll be at the Encinitas Community Park on Sunday, Oct. 7 from 10 a.m. to 1 p.m. RSVP to TeamTasha@Tasha4Assemly.com. And finally, I attended the Candidate Forum for District 3, where incumbent Mark Muir and challenger Planning Commissioner Jody Hubbard answered audience questions. Both local newspapers quoted these remarks from Jody in their articles on the forum, and you can read them here: The Coast News, and the Encinitas Advocate. A last thought: The painful spectacle of what’s going on at the national level strikes me so deeply this week that I can’t summon the will to comment on it here. But I must say this to you: Power lies with those who sit at the table. And your vote decides who sits at the table. Please vote like our democracy depends on it. Because it does. Today, Sunday, Sept. 30, 10 a.m. to 6 p.m.: Oktoberfest on Mountain Vista Drive in New Encinitas. Many candidates for office have booths here and participate in the parade. We’re happy to be sharing our booth with District 3 City Council candidate Jody Hubbard, and we’ll be giving out free delicious, antioxidant-rich, alkalized Kangen Water from our friends at Your Healthy Water Oasis. It’ll be a great chance to talk with multiple candidates all in one spot. Plus, it’s a family-oriented blast! Jody and I hope to meet you there in the midst of the festivities at Booth M23. 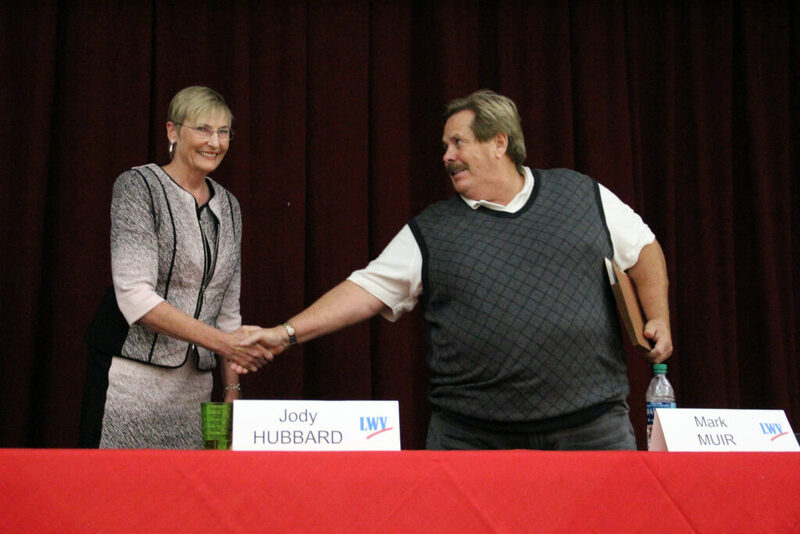 Monday, Oct. 1, 5 p.m.: Walking and Door Knocking with City Council District 3 candidate Jody Hubbard and me. Email jodyforcitycouncil@gmail.com or me for location and details. Wed., Oct. 3, 7 p.m.: Olivenhain Candidate Forum at the Olivenhain Meeting Hall. This forum involves the two District 4 candidates, incumbent Joe Mosca and challenger Tony Brandenburg, plus the two mayoral candidates. Sat., Oct. 6, 2 p.m.: Meet and Greet for Encinitas Council candidate Jody Hubbard and me at the home of Niels Lund. Email Niels at nlund@pacbell.net for address and details. Tuesday, Nov. 6: Election day! Vote! Previous Post9/23/18: Where Will New Housing Be Built?Next Post10/7/18: Gov. Brown Signs Encinitas Granny Flat Bill!